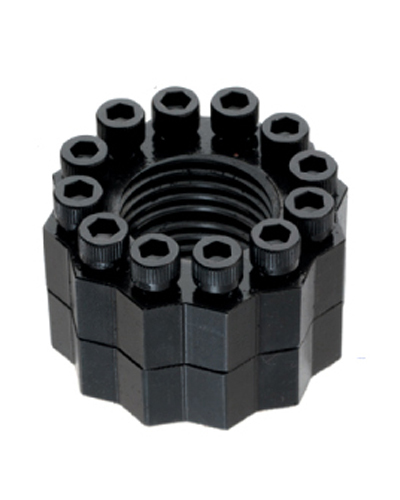 This clever tool threads onto your frozen studs in seconds like a normal hex nut. After simply tightening the six cap screws securely, the STUDMATE™ loosens the frozen stud with any standard socket or wrench. • Uses standard socket and wrench for tightening. • Available in 6 and 12 point. • Available in metric for wind industry application.